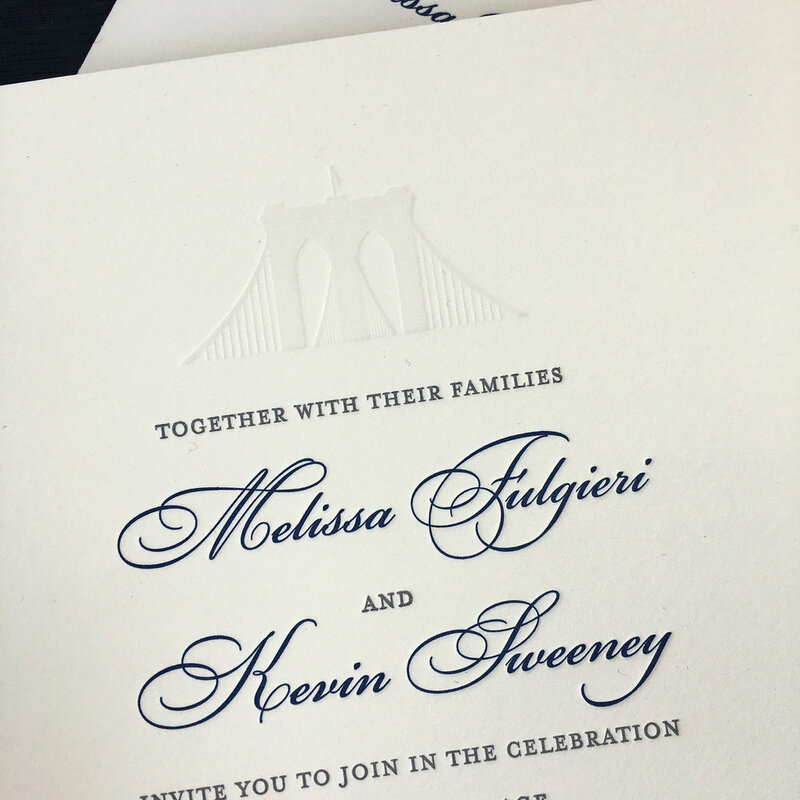 We just finished printing this wedding set for a lovely couple who are getting married in Italy. We're jealous: all that wonderful food, gorgeous views and la dolce vita! 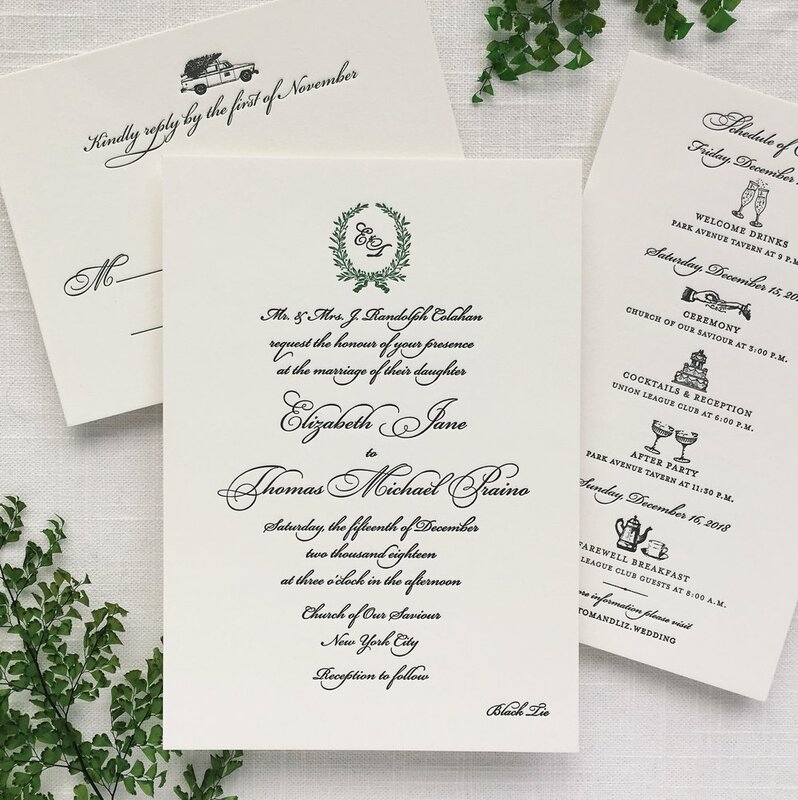 They decided to have the set printed in our matte gold ink: we love how this hue is the perfect blend of elegant and understated. 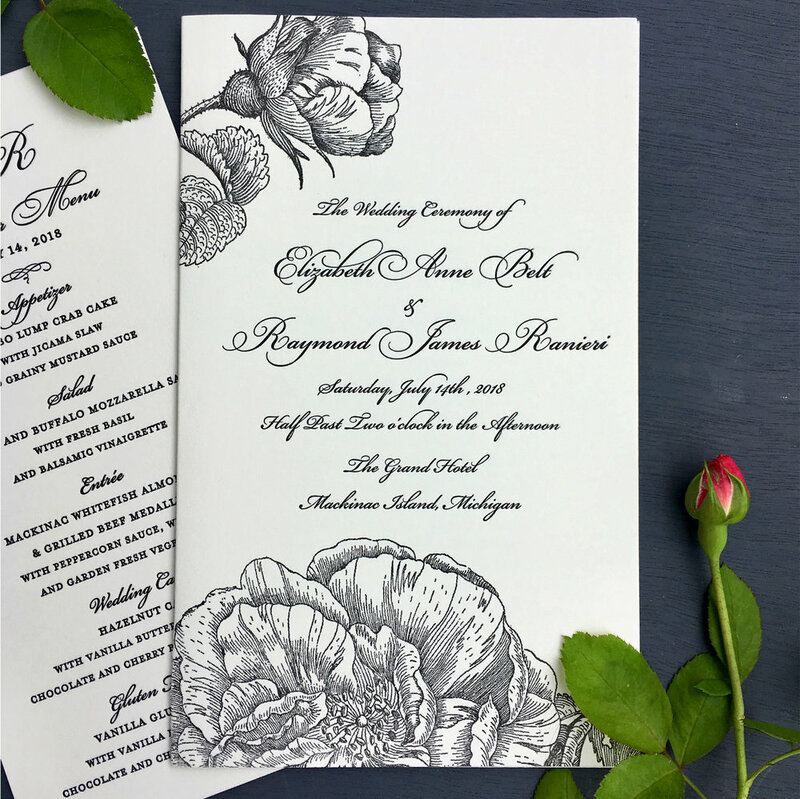 Without ink, it just highlights the quality of the impression. 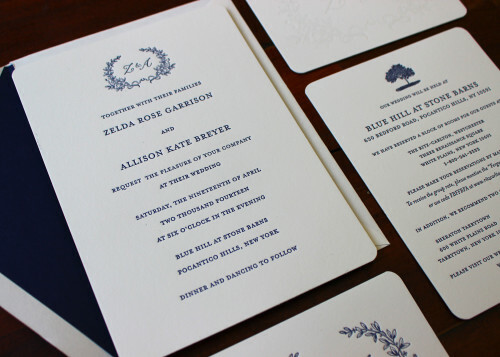 This invitation suite is charming and classic and we love the recurring wreath motif. We designed the wreath to incorporate the monogram that features the initials of the couple's first names and it looks so pretty on the different pieces.